Many Thai islands are perfect for the couples looking for a romantic getaway, but with so many choices, it can be a challenge to choose the right one. Choosing a full-service island as the base camp is a smart approach. As the biggest and most developed island in Thailand, Phuket can be a great base camp. Located in the Andaman Sea, off the west coast of Thailand, the busy island teems with sun soakers, party goers and fun-seekers all year around. From nightlife enclaves to Muay Thai matches and shopping in the streets, Phuket has it all. Beachfront accommodation is plentiful with most centralized at Patong Beach. Water activities abound at all the main beaches, including scuba diving, surfing, sea kayaking, cruises, game fishing, snorkeling, etc. 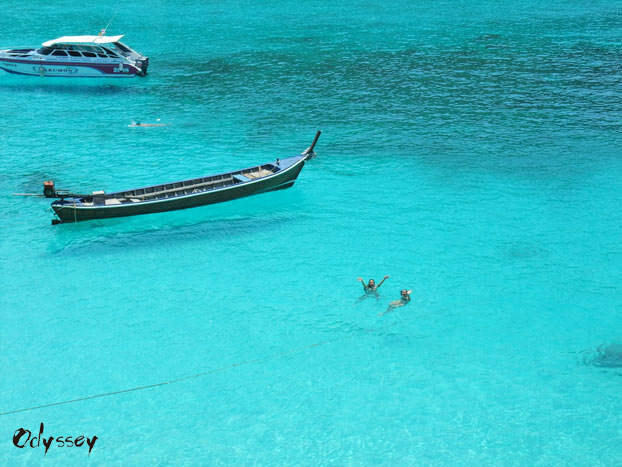 Another good thing about Phuket is that, it's not far from quieter islands and beaches like Koh Phi Phi and Ao Nang. If you feel like getting away from Phuket for a day or two, it's easy to get a ferry from there for a trip into an entirely new beach scene. For unbeatable scenery and a relaxing and interesting vacation, an overnight cruise on Halong Bay in northern Vietnam would be a perfect choice for couples. A huge bay, dotted with nearly 2,000 limestone cliffs, the breathtaking scenery of Halong Bay is often compared with of Andaman coast of Thailand and Guilin of China. The bay was inscribed as a World Heritage Site by UNESCO. Lie down in a deck chair or settle in the private balcony of a cabin to enjoy the beauty and romance of the bay. After savoring the tranquility of the bay enough, there is a wide range of activities to do. A Tai-chi class on the deck, a foot massage, a delightful cooking class, not enough? If I say you will visit a fishing village, get to swim, kayak, and go caving? 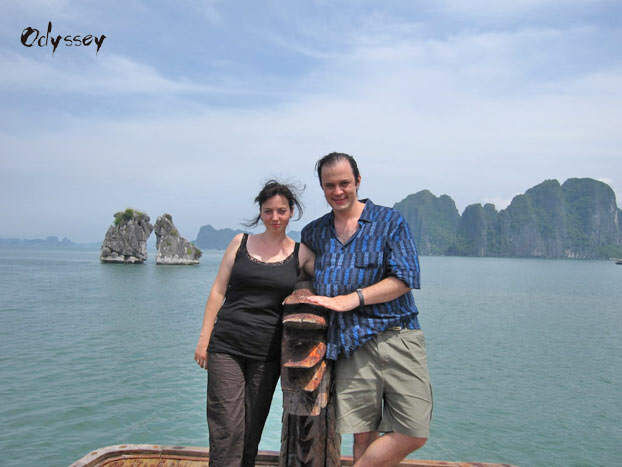 For more information about Halong Bay, please refer to How to Make a Perfect Halong Bay Trip. Hoi An is an unique, lovely historical town in central Vietnam. It represents the traditional culture of Vietnam. The historic buildings, lively markets, tasty local cuisine, vibrant nightlife, and the tranquility make it a great place to kick back and relax. 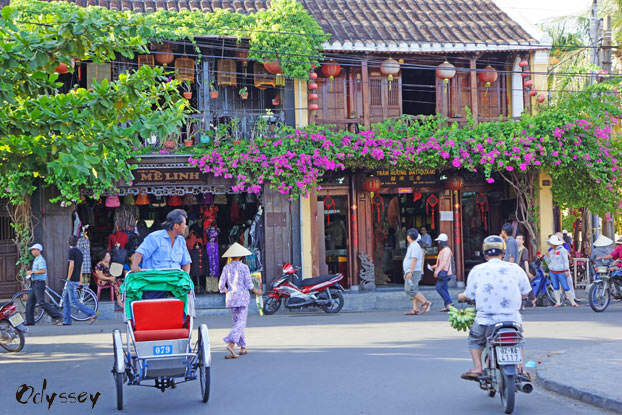 The streets of Hoi An are lined with aged buildings and tailor shops overhung with colorful lanterns. The whole town feels lush and tropical. At night, the streets are lit up with colorful lanterns. Stroll along the Thu Bon River to see the lantern-lit streets, or float your own lantern down the river if you wish. The food scene here is vibrant. Make sure you have dinner at one of the numerous riverside restaurants, most of which serve delicious Vietnamese or French cuisine. Besides, Hoi An has nice beaches nearby. Hop on a bike and pedal just a few kilometers to the Cua Dai Beach, or out to An Bang Beach. Board an eco-tour boat on the Cua Dai River, learn how to cast fishing net from local fishermen, and then paddle the traditional round-shaped "basket boat" made from bamboo…Hoi An is where you can have both fun and relaxation. As the gateway to Angkor Wat, the world's largest religious monument, Siem Reap is one of the most charming places in Southeast Asia for couples to experience a once-in-a-lifetime trip. Deep in its forests, the elegant spires of Angkor Wat soar skyward above the sprawling ruins of Angkor. Endless bas-relief galleries line the walls and tell the tales of Cambodian history and legend. Tranquil, massive stone faces gaze down at people with enigmatic smiles at Bayon Temple, just luring you to discover why the great architectural art treasure was abandoned. These centuries-old temples will definitely give people an unforgettable experience of Khmer architecture and the rich history of Cambodia. Besides the temples, the laid-back ambiance also adds charm to this city. No traffic jams. French colonial atmosphere is well preserved. Tuk-tuk is still a popular mode of transportation. That laid-back, relaxing feeling commands everyone who visits to take on a relaxed demeanor, to let go of all stress and worry. Chiang Mai, known as "the Rose of the North" for its beauty and charm, is a great destination if you seek for an unforgettable combination of adventure, culture, and relaxation. Sitting in a beautiful valley, surrounded by farmlands, orchards, and forested mountains, Chiang Mai offers plenty of outdoor adventures, such as river rafting.  There are also some exceptionally beautiful luxury resorts for those who want to indulge. If you are into local culture, pay a visit to Wat Phrathat Doi Suthep, the city's famous golden-gilded temple. Take a cooking class to learn the secrets of Northern-Thai cooking - plus, you will shop for food materials at the local markets. Also, check out the Night Bazaar. You will find a shopping paradise where vendors sell everything from novelty items to handmade Thai silk. For thrill-seekers, trekking through the jungles in a Jeep is something not to be missed. Once you've experienced what this beautiful city has to offer, head to one of Chiang Mai's many luxury resorts for some rest. Located in the northwest of Vietnam, Sapa is the ideal destination for couples looking for a beautiful, off-the-beaten-path hideaway. The mountainous region is alluring with the spectacular mountain landscape and the mysterious ethnic minority culture. The town itself is a vestige of the French colonial era, built as a hill station in 1922. The spectacular scenery surrounding it includes rice fields that cascade down the lush rolling mountains, which are often enchantingly enveloped by flowing mists. The valleys and villages around the town are home to a host of hill tribes. These hill tribes have been inhabited in the area for many centuries and still keep the traditional way of life. 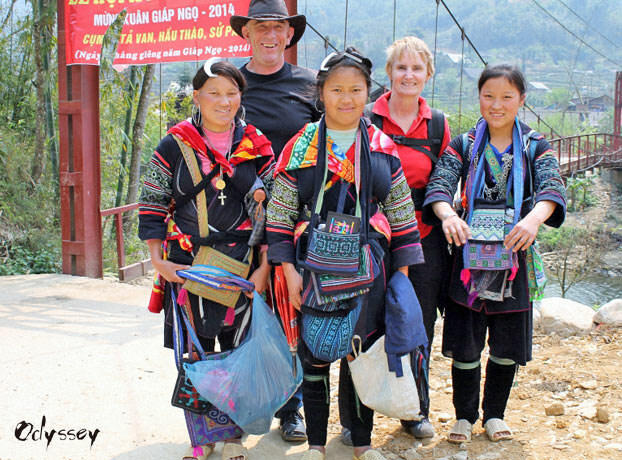 Trekking through the deep valleys offers a chance to enjoy the beautiful scenery and encounter resplendently dressed people who wander into the markets of the town to sell and trade. 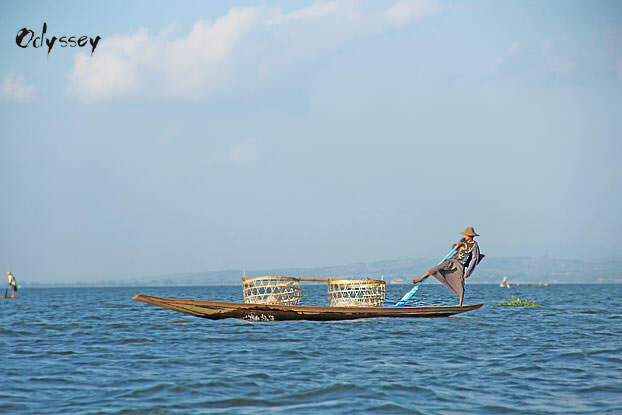 Inle Lake is a picturesque, magical place in Myanmar (formerly Burma), where rural charm remains authentic and alluring. Wooden homes rise from the water on rickety stilts in villages amid floating gardens, and the only way to get around is by boat. Local farmers ply the traditional wooden boats to transport goods and passengers, tender the vegetables growing on the floating gardens, and go to market. The Intha fishermen row their canoes with one leg wrapped around the oar and their hands casting fishing nets. This is a dream place to spend a few nights in with your beloved one. There are plenty of things to see and do here. The best things to do include boating through the floating houses, gardens, and pagodas, biking around the lake, or visiting the vibrant markets that rotate around the lake. One of the most impressive places in Southeast Asia. Bagan is approximately 10 hours from Rangoon, the capital of Myanmar. How romantic is Bagan? 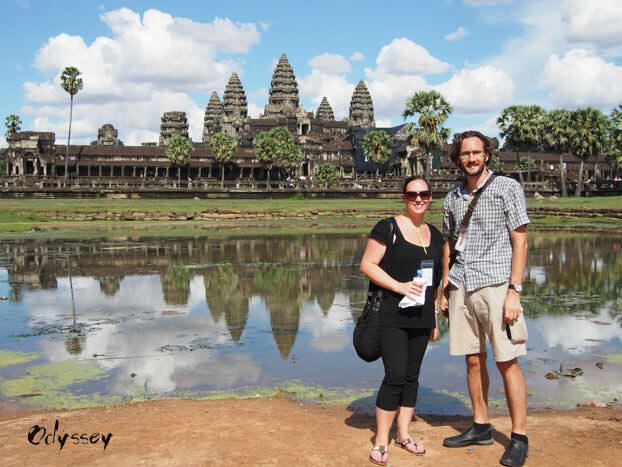 Well, imagine yourself in an ancient city, with thousands of ancient temples around - a sight to rival Cambodia's Angkor Wat. The atmosphere is laid-back, quiet, and peaceful. 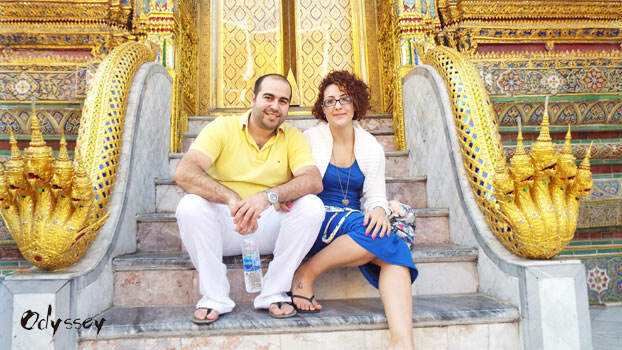 Explore the temples with your loved one on a horse cart or ox cart. 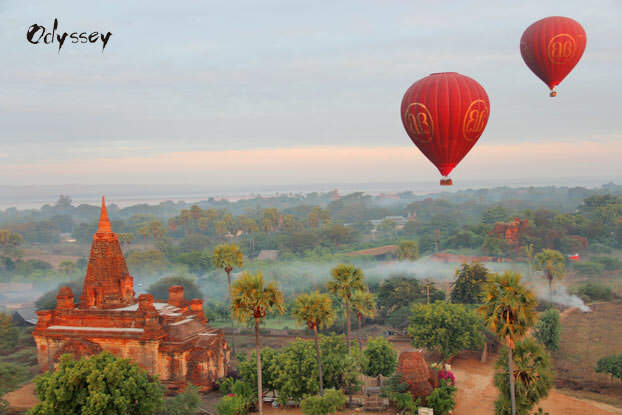 Watch the sunrise over misty Bagan at the top of one of the pagodas. Stroll along or bike around the temples in the afternoon, and enjoy the peaceful time, just you and your partner. You can also rent a hot air balloon to get a bird's eye view of the gorgeous scenery. If there's more time, drop by a lacquer-ware workshop to see Myanmar's most treasured handicrafts. Despite its ever-increasing popularity, Koh Samui is a bit more laid-back than Phuket – that's why many prefer it. Nestled off the Gulf of Thailand between the mainland and Koh Phangan, it is the third largest island in Thailand and has by far the most varied options for accommodation. The crescent-shaped beach at Chaweng is the epicenter of sea, sand, and shopping during the day and is also known for its bustling nightlife. The commercial main street backs on to a surprisingly unspoiled stretch of coconut palms fringed beach, where lights twinkle around restaurant tables after sundown. If you are seeking for a bit of tranquility, head to the southern tip at Chaweng Noi. 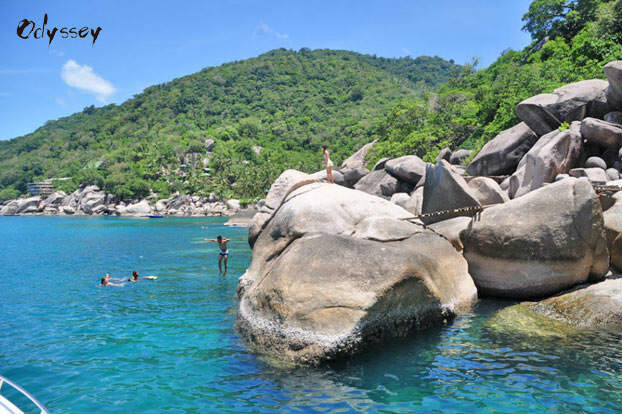 Koh Samui is part of the Angthong National Marine Park and is a couple of hours by boat from Ko Phangan and Ko Tao. There are plenty of opportunities for exploration and activities, including kayaking, snorkeling, and diving. The "City of Angels". Bangkok is a typical Asian mega-city. From palaces to temples, street foods to restaurants, theme parks to malls, it has something for everyone. And basically, it is safer and cleaner than other Southeast Asian mega-cities. As one of the most affordable cities in the world, it is a paradise for couples. When traveling you want to have lots of options, from activities to choices of restaurant and accommodation, and Bangkok has it all. 4-5 star world-class hotels abound. Cuisines from different parts of the world. Activities abound, too. Visit the famous Grand Palace & Wat Phra Kaew. Take a tour of the floating markets, the traditional shopping places, to see how some ordinary Thais live and enjoy the variety of food and fruits. Dine in some of the best restaurants in town like Chocolate Ville and Asiatique. You can also have a dinner while cruising Chaopraya River or dine on top of Vertigo Restaurant (at the Banyan Tree Hotel) or Baiyoke Tower overlooking the city. Take in a Ladyboy Show, which is another facet of Thailand's distinctive entertainment culture. These are just some of the activities that you can have with your beloved one. You couldn't be bored in Bangkok but will have some remarkable experiences. Where would you go in Indochina for a romantic trip? Tell us by writing to . Share this article if you enjoyed it.